Social what? I know. Here we are in the first quarter of 2019 and I still find it hard to believe the sheer dominance that this medium has obtained. In fact, I would go as far as to say that it is the single ‘thing’ that has shaped the AV business over the last decade. For good, and not so good at times. In my mind, there is little doubt that the way the social media platforms have changed our lives is unparalleled. Even email doesn’t come close to the way that people are able to interact, internationally, with the immediacy provided by this method. I think that the AV business has used these platforms very well and although some might say that we were a little late to the party, we have now caught up and exceeded most people’s expectations as to what can be achieved with it and from it. If I was grading homework, I would give "AV industry+social media" about 7 out of 10. It may sound like I'm scoring it low, but I have some solid reasons. As a socialable person, with an active interest in technology and the industry, I've seen numerous postings on all platforms where there has just been a full-on information overload. There are far too many hashtags bandied around, too much jargon, too many colloquialisms and a slew of badly written articles out there. 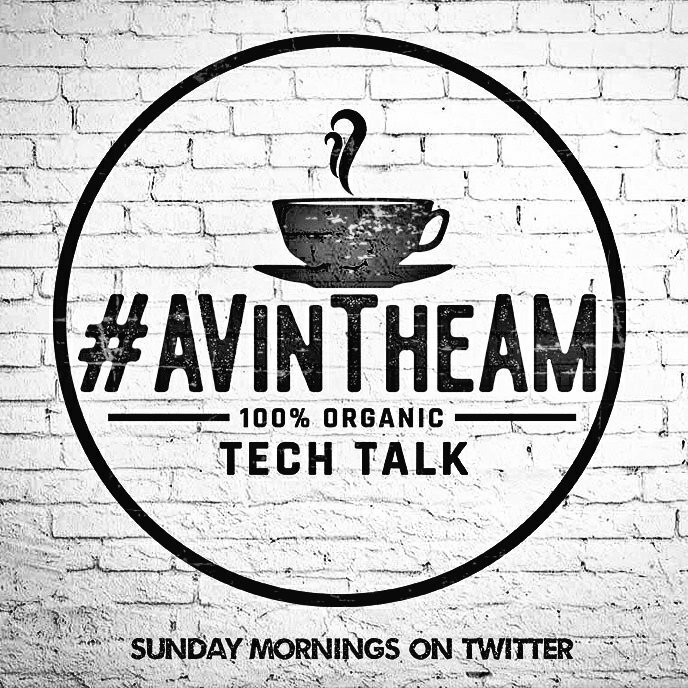 However, when it comes to the real purpose of social media in this context, there is one hashtag that has nailed it: #AVinTheAM. 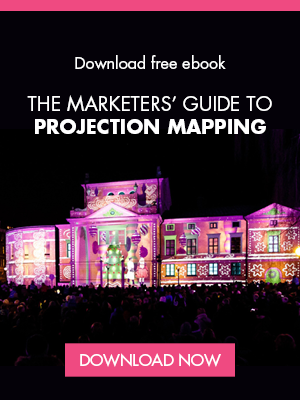 This hashtag takes you to an incredible source of information exchange, with great dialogue and some fascinating insights on how AV technology is deployed. Started by Christopher Neto in the US, it has now gathered substantial momentum and interest. Chris asks massively challenging questions to which there is never just a single answer and that's why his perspective has worked so well. If I am honest, I was slightly irritated by it at first – too much info getting into my head on a weekend! Now, I am hooked on it. You can join the conversation from 08.00 Eastern Standard Time every Sunday. How long have you got? 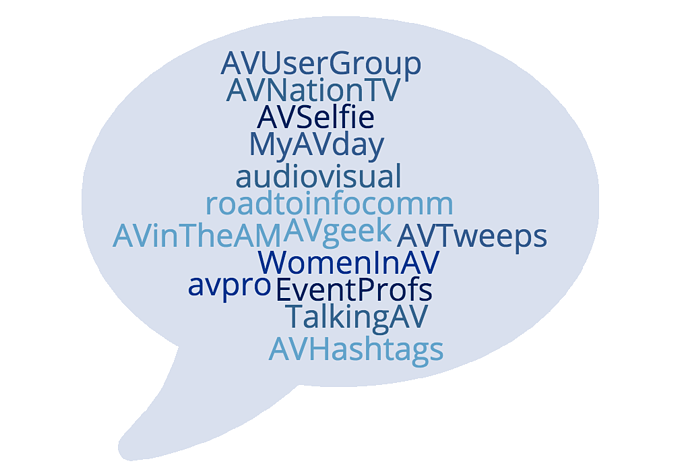 There are many of them, but here are just a few of my favourites relating to the AV business. Twitter was designed and invented for people like Kevin. 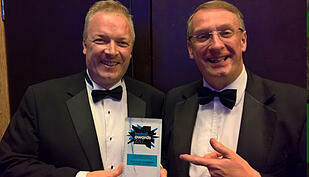 He frequently praises AV manufacturers and integrators for great levels of service and innovation. At the same time, he isn’t shy about criticising his local train company for letting him down once again on the way to work. His generosity is well known in the UK and now to an international audience. He sets the bar very high when it comes to interaction teamed with honesty about products and services. 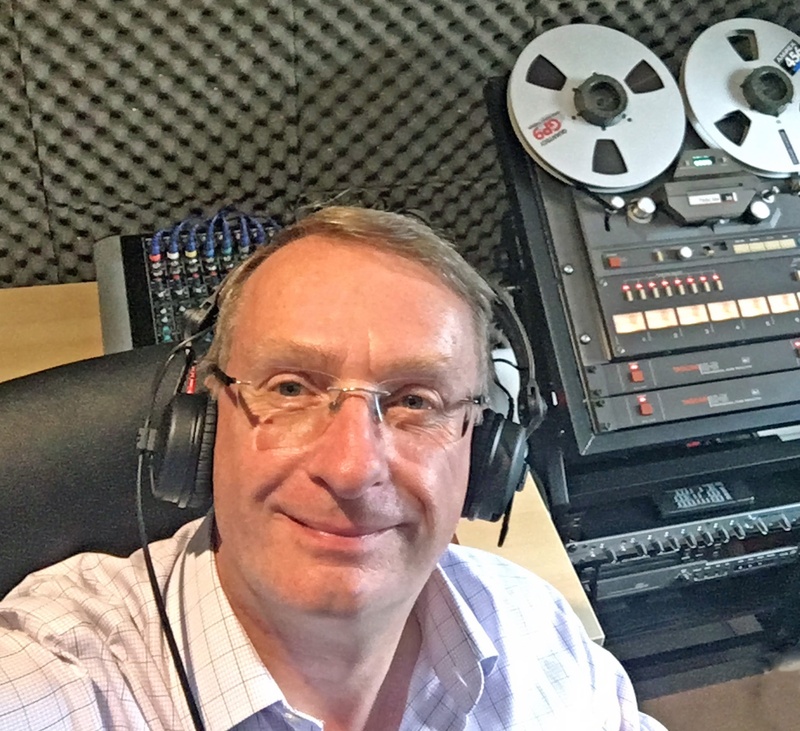 Kevin is also a director of the AV User Group, an organisation that has proved very popular over the last few years with regard to social media interaction. The user group has gained a high level of traction and interest due to this engagement – so definitely a big win here for them in every respect! Tim Albright (pictured above) runs the AV Nation website and all of the social media feeds connected with it. I would say that Tim is definitely in the category of a power user when it comes to having a great deal of presence on the various platforms. 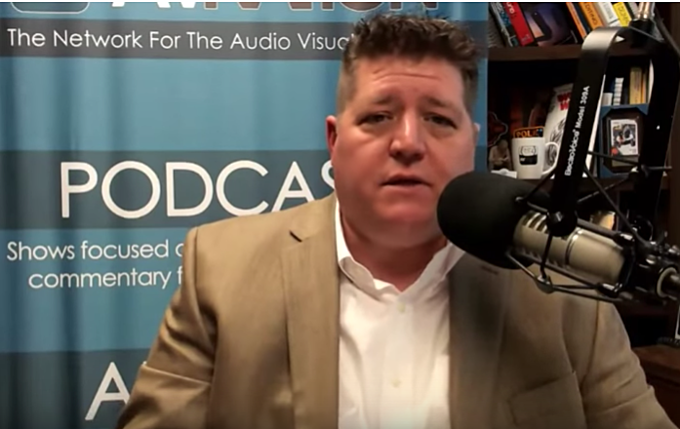 Tim’s obvious enthusiasm for the AV business is infectious and he combines interviews with industry leaders, product reviews and stacks of useful information about our business. Again, the social media part of Tim’s work has been very important, enabling him to reach out to a far wider audience than in his native United States. His engagement with people has been superb and the profile of AV Nation has shot up incredibly over the last few years because of this. 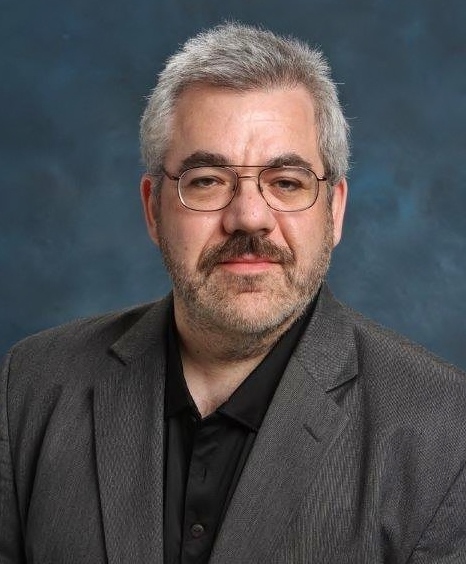 I’m very much a fan of David Danto (pictured) when it comes to his blog writing on the subject of AV and Unified Communications. Never afraid to tell it like it is, David’s personal contribution to the social media platforms has been very interesting and worthwhile. His many decades of experience in our industry really shows in his writing. Head over to his LinkedIn page and you'll see what I mean. Inevitably, I suppose, there are always going to be downsides to something which purports to be so great. Social media is absolutely no exception, and unfortunately, the use of it in the AV business can lead to some of these negatives. The AV business is very special, but it surprises me that one particular subject can cause massive fall outs between colleagues (in Europe, and even outside Europe). Brexit. Don’t worry, I’m not going there. I am merely saying that this has been such a divisive area that it was always going to have potential to be inflammatory. Still, it has gone way off-the-scale now with the polarisation of opinion. What used to be a polite chat between colleagues in the business, now ramps up to a full-blown argument with industrial language often employed. It has happened to me. Thinking about AV itself, there are a number of forums where folks can sound off about all sorts of aspects to do with equipment selection, reliability, poor programming, day rates – you name it. Again, the temperature in the room soon ramps up leading to some abusive comments and unnecessary criticism of others. A forum full of AV professionals is not the place to have those sort of "conversations". My personal opinion is that the social media explosion related to AV has been a good thing in general. However, I still have my reservations about it replacing face-to-face communication as my first choice of contact. Of course, a call or a physcial meeting may not always possible, but I do think that we need to take more care sometimes in how we interact through the written word. It goes without saying that misunderstandings, deliberate or not deliberate, can cause considerable difficulty for both the author and the recipient. It’s hard to work out the number of people that use social media in the world, let alone the ones associated with AV. The 2018 Global Digital suite of reports from We Are Social and Hootsuite reveals that there are now more than 4 billion people around the world using the internet. Much of last year’s growth in internet users has been driven by more affordable smartphones and mobile data plans. More than 200 million people got their first mobile device in 2017, and two-thirds of the world’s 7.6 billion inhabitants now have a mobile phone. Specifically, social media use continues to grow rapidly and the number of people using the top platform in each country has increased by almost 1 million new users every day during the past 12 months. More than 3 billion people around the world now use social media each month, with 9 in 10 of those users accessing their chosen platforms via mobile devices. These are pretty eye-watering numbers and the official 2019 stats aren’t out yet! It’s not hard to imagine the effect this all has on opportunities – and the need to shut off occasionally as well. If only I knew! The speed of social media interaction has been unprecedented in our lifetimes and I can only imagine that the next ‘thing’ (whatever that is going to be) will have even more impact. I’m quite hoping to be retired by then, with more time to spend on the new platforms!